Peter Gabriel - Scratch My Back ... And I'll Scratch Yours! Peter Gabriels "song swap" project accompanying "Scratch My Back"
On 12/12/2010 Peter Gabriel released his new studio album Scratch My Back. It does not contain new Peter Gabriel songs, but it is part of a song swap project: Peter covers songs by other artists, and they cover one of his songs in return. This page offers all the information about the overall project. We also provide a comprehensive review of the album Scratch My Back. Peter Gabriel had been working on two albums since 2005. One of them was I/O, which was to succeed Up (cf. The Making Of I/O), the other one was Son Of Ovo, a new interpretation of the songs from the OVO album. Son Of Ovo has been completed in the meantime, but it has not been released yet. Then lots and lots of ideas for other projects surfaced, mainly contributions for film soundtracks. 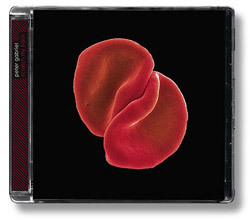 In the end Peter Gabriel brought up the Another Tongue project, the simple idea behind that being that Peter Gabriel writes the music and others provide the lyrics. There has not really happened anything about Another Tongue yet. However, that idea spawned another idea that has now become Scratch My Back. A couple of years ago Peter Gabriel asked his fans to vote on which songs would be suitable for a putative cover album. In the end he got it into his head to not only record an album full of cover versions but make it a kind of exchange project. Gabriel covers various artists and bands, and they will cover Gabriel songs. The project is called Scratch My Back And I'll Scratch Yours and Scratch My Back is its starting point. Peter played two songs from the album when he played at the WOMAD festival last summer . One was The Boy In The Bubble (by Paul Simon), the other The Book of Love (by The Magnetic Fields). The latter song was released on the Shall We Dance? soundtrack a couple of years ago. There was much speculation which songs Peter Gabriel might cover. His version of John Lennon's Imagine surfaced early on in the "phantom track lists", but it has not been included. Other names that have been mentioned are Bruce Springsteen and the Dave Matthews Band, who are very successful in the United States. The latest unconfirmed track list also mentioned Waterloo Sunset by The Kinks, but none of these songs and artists have become part of the project. ...I'll Scratch Yours - the "partner songs"
The question fans have in mind: Which Peter Gabriel songs will be covered by others? Some of these are still speculation, but many cover songs are already known. A song swap pair has been released as an iTunes single every full moon in 2010 - but somewhere in the middle, the project got stuck. There were rumours David Bowie is not willing to participate and that Tom Yorke is not satisfied with what Peter did with the Radiohead song and lost interest etc. In the meantime, the available tracks have been removed from iTunes. In any case, this is the confirmed list of tracks for the And I'll Scratch Yours album. UPDATE 24th July 2013: And I'll Scratch Yours will finally be released this September, scheduled for 20th (Germany), 23rd (UK / Europe) and 24th of September. An official announcement has been made. In summer 2009 Gabriel enigmatically mentioned the release of the album: "You will hear it soon. And when I say soon this time, then it's sooner than when I normally say soon". At first it was to be released on 02/10/2009, then the album was postponed to November. Then it was to come on on Virgin/EMI in the UK on 25/01/2010. February 12, 2010 has now been confirmed as the real release date (15/02 in the UK). The cover artwork has also been completed, as you can see above. 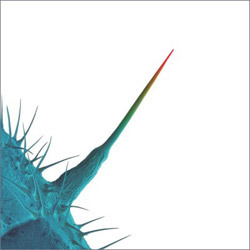 It has also been confirmed that Scratch My Back will come out on vinyl, too, though only directly from Peter Gabriel's shop. In one of the podcasts Peter Gabriel insinuated that he may continue this project "after my next album" - which, from a cynical point of view, gives us a putative release date of Scratch My Back 2.0 some time in 2023. Peter Gabriel has performed many shows with his New Blood Orchestra between 2010 and 2012 - go here to find all details about the gigs and live show reports. In 2011, Peter has also released an orchestra album with new interpretations of his own songs. read our review about New Blood here.